The Berlin of the Ruy Lopez. Since it is one of the most solid openings at the Grandmaster level, I decided to give it a try. I hadn’t studied Ruy Lopez theory in 8 years, and when I did it was for White. Back when I played against the Ruy Lopez, I opted for an immediate 3… a6. Already one out of book for me. 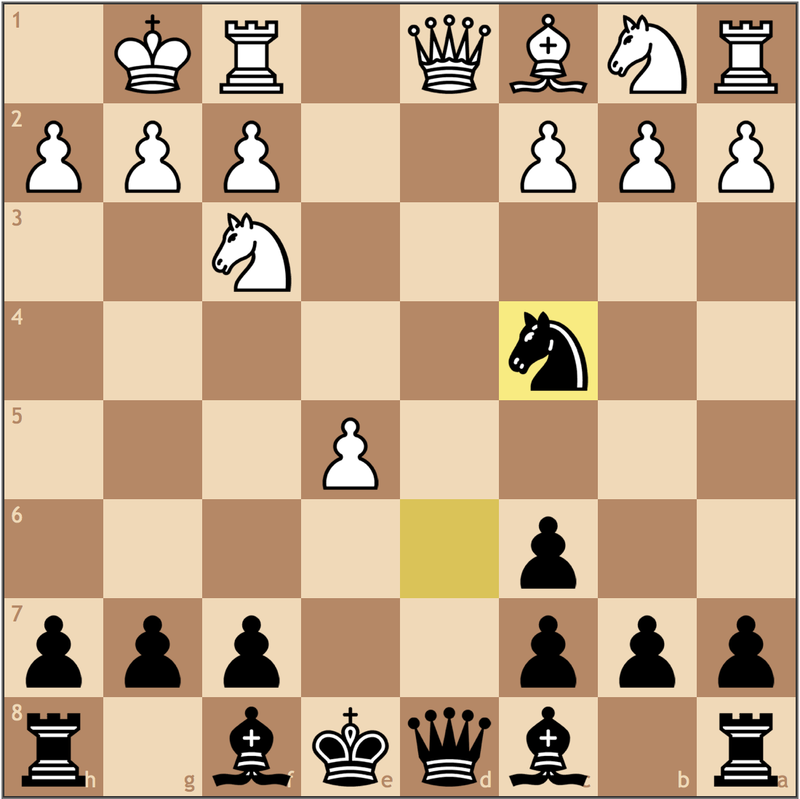 While this move is one of the most popular ways to counter 4… Nxe4, I was only familiar with some of the 5. Re1 theory. And so here starts the Belin Wall, well – sort of. Nd6 6. Bxc6 dxc6 7. dxe5 Nc4? The first inaccuracy that set the tone for the match. Main line, as we will see, is the much better 7… Nf5. In the video, I discussed the possibility of playing …Nc4-b6 and how playing …Nd6-f5 would block in my bishop, but this approach gave my opponent too many tempi. 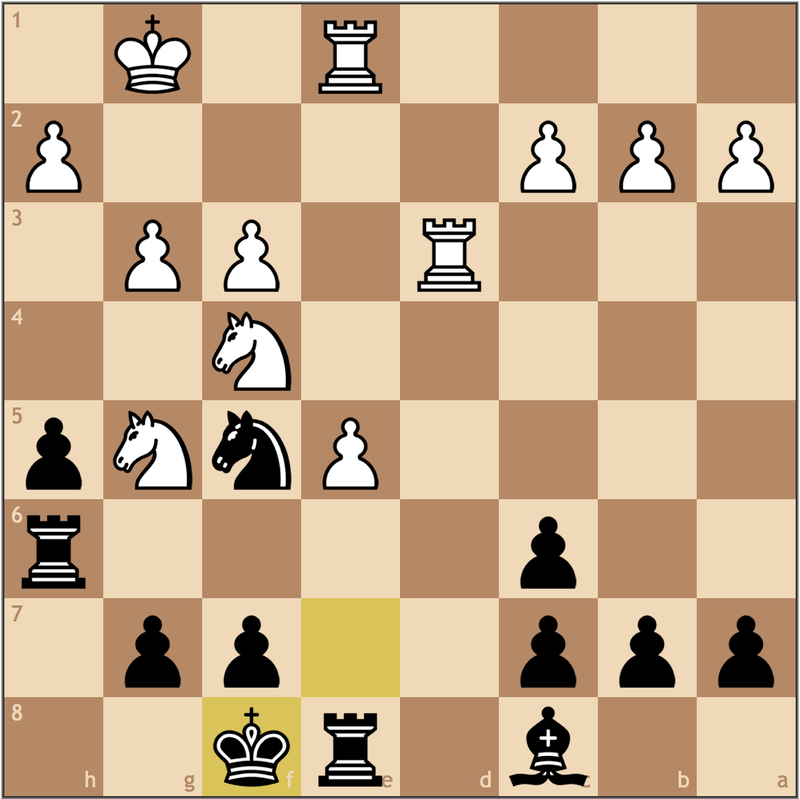 As we’ll see, Black aspires to play …b7-b6 and fianchetto the bishop for solidarity and good endgame play. I’ll stop here since this questionable move already deviates from the Main Line which we will be discussing. When looking for a model game, I was lucky to find the Giri–Vachier-Lagrave match up from the London Chess Classic, in which Anish outplayed Maxime in a critical tiebreak match. Anish Giri and Maxime Vachier-Lagrave, both in the World’s top 10, have played each other many times – including the recent 2015 FIDE World Cup! 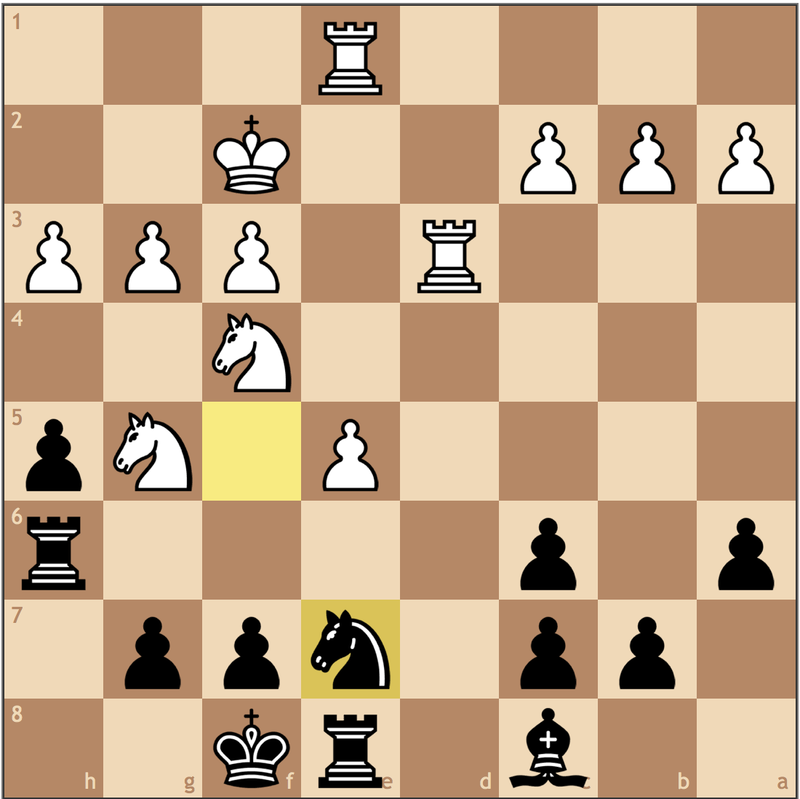 Here gives us the critical move 7… Nf5 which makes Black’s position tenable. 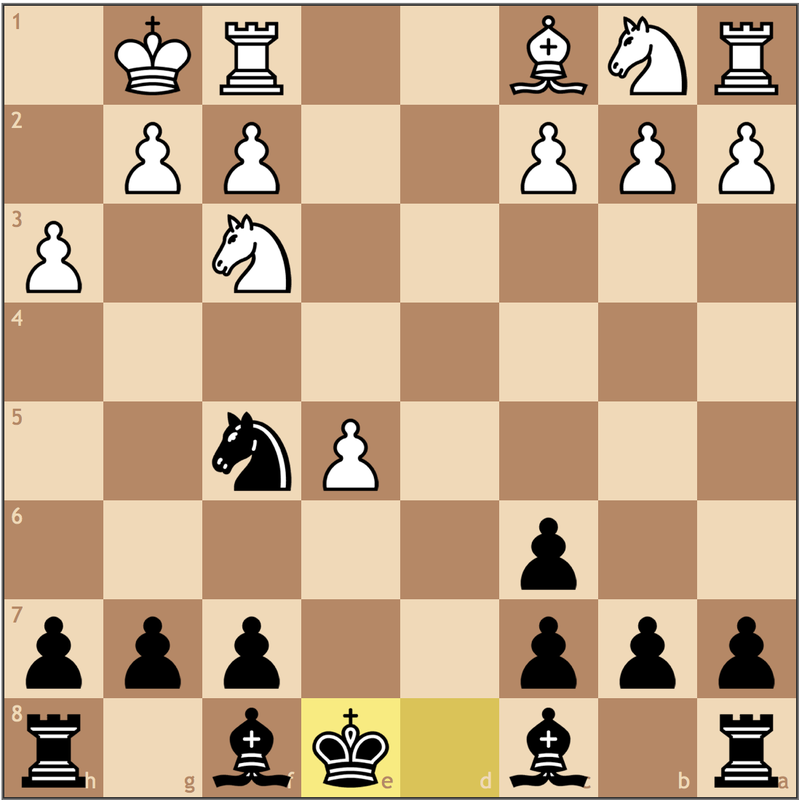 From here, the Black knight can attack the center without being easily kicked away (8. g4? would be a serious weakening). With the queens coming off the board, it’s important that Black has piece activity to make up for losing the right to castle. Let’s say the line ends here, as Giri’s remaining developing moves are intuitive, and could arguably be found over the board by any strong player. White has given up the pair of bishops and is in the endgame, but has some compensation. 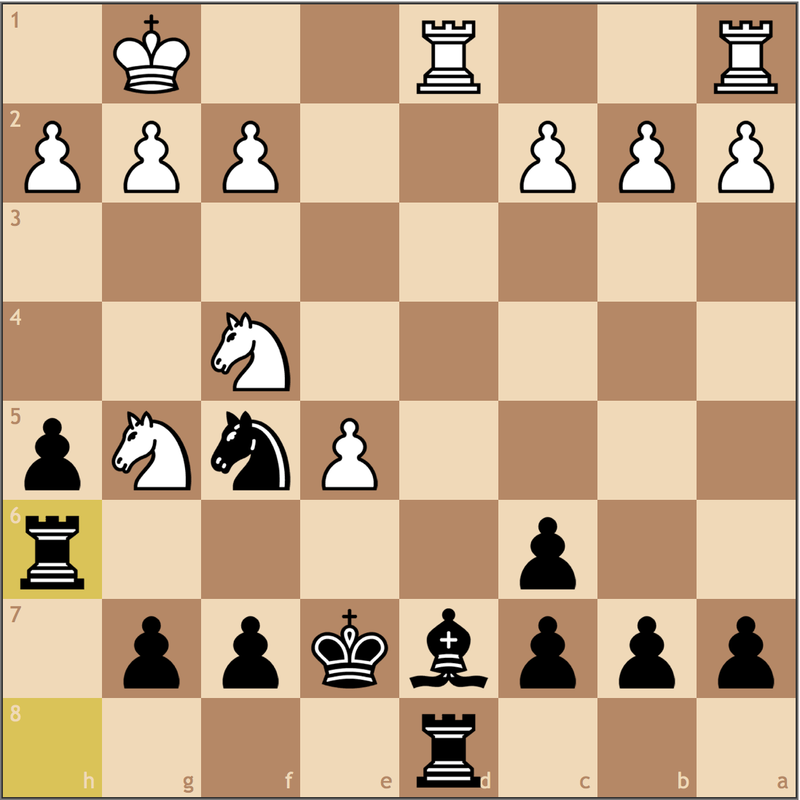 Beyond the doubled pawns on the c-file, Black is unable to castle, and needs time to develop to prove equality. What is this move? 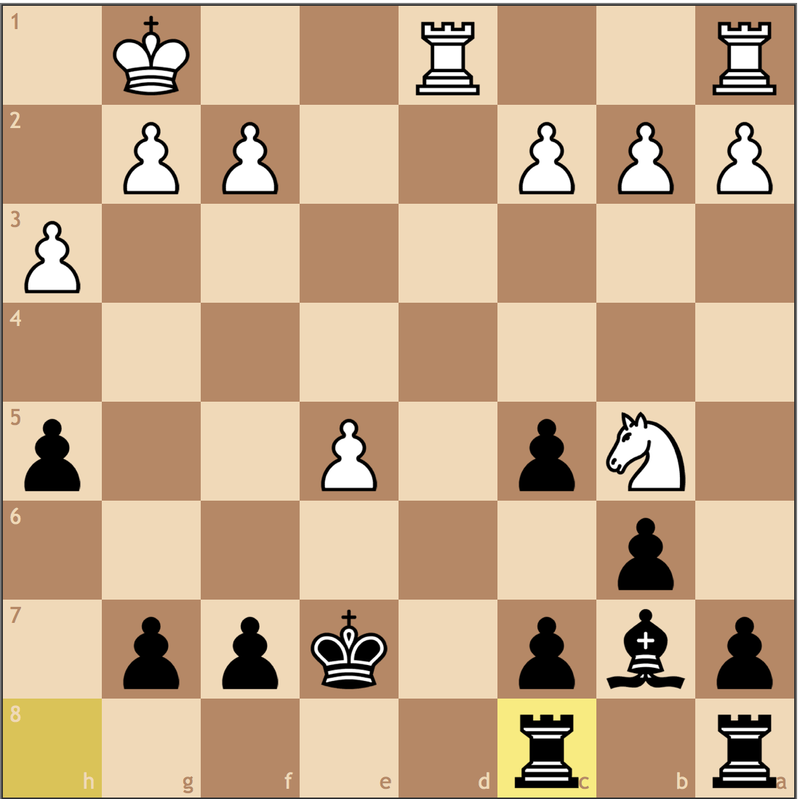 This h-pawn thrust is a prophylactic measure against any future idea for White involving g2-g4. With the game heading to an endgame, this idea is not as much of a weakening considering that the queens have been traded. While this move plans to put the e2 knight in the center of the board, it’s kind of esoteric. This isn’t the most common move, as 11. Bf4 holds that honor, but it scores the same among ~2600 rated players. Black doesn’t really mind moving the king around so many times. As long as Giri’s king is safe and covers the d7 square, he’ll be fine. In fact, if you think about it, the king needs to be active in the endgame anyways. 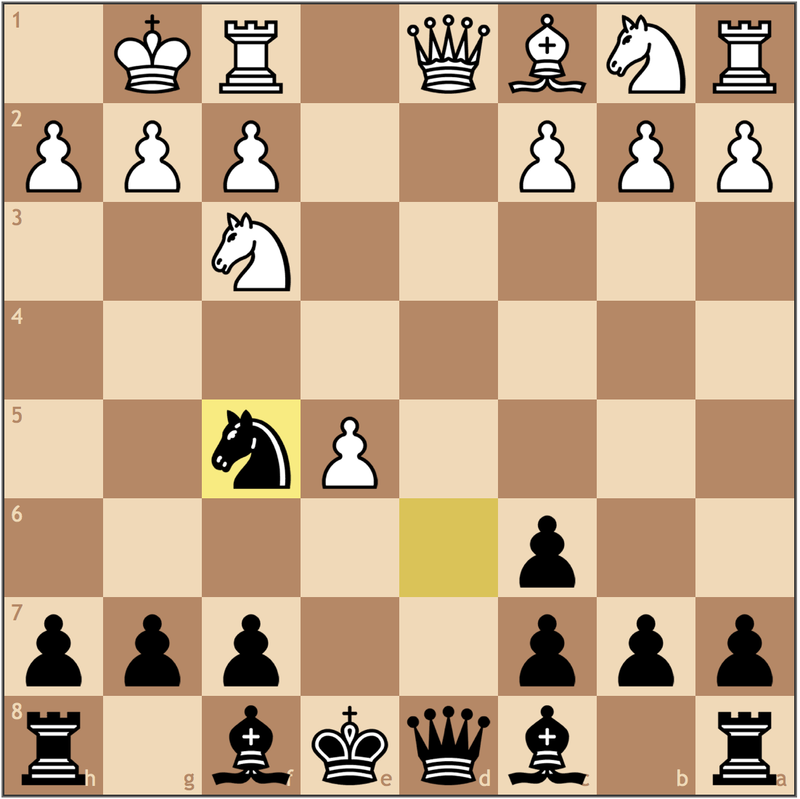 According to ChessBase’s online database, this immediate trade on e7 has never occured. While Black no longer has the pair of bishops, Anish has three “long-range” pieces compared to Vachier-Lagrave’s two. Black’s last move to solidify. With all of his weaknesses covered, Giri is ready to start pushing …a7-a6 and then improve his position. 18.f4 Bc6 19.Nc3 Ke6 20.Kf2? h4! And just like that Black is arguably better! Should White try to play g2-g4 now, he would compromise his structure, leaving a static weakness on f4. 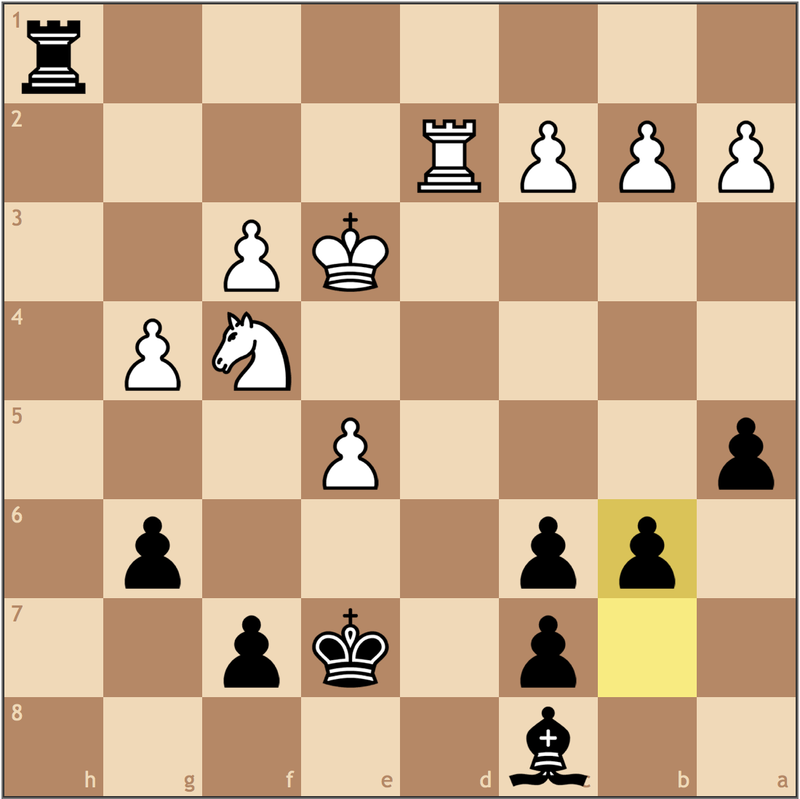 Already, there are some ideas of …Rh8 in the position, with an idea of a rook lift to g6. 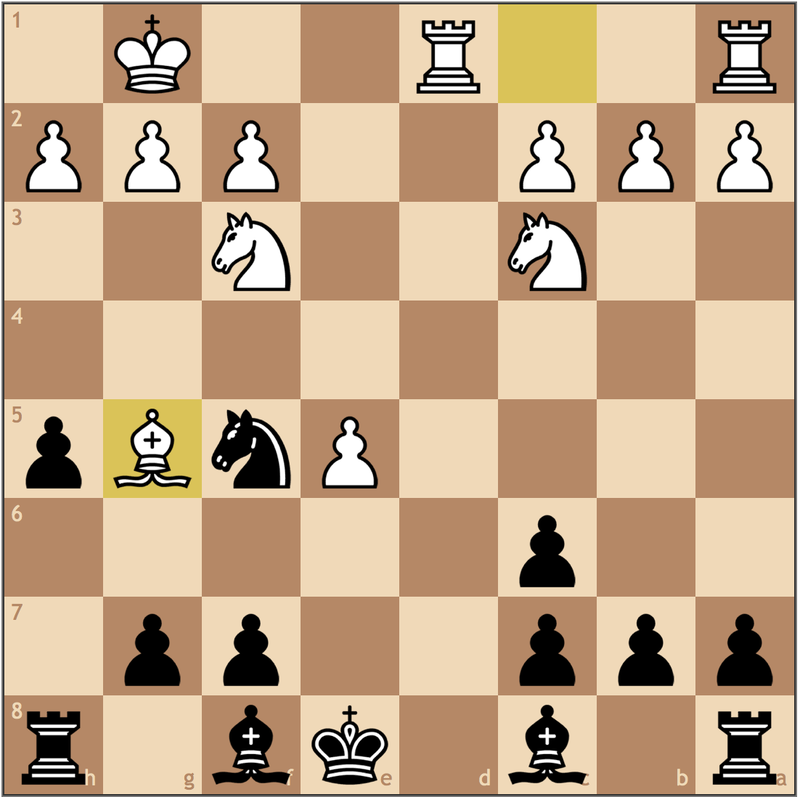 Both …Rd8 and …Re8 were perfectly acceptable here, but this move takes the most principled approach. 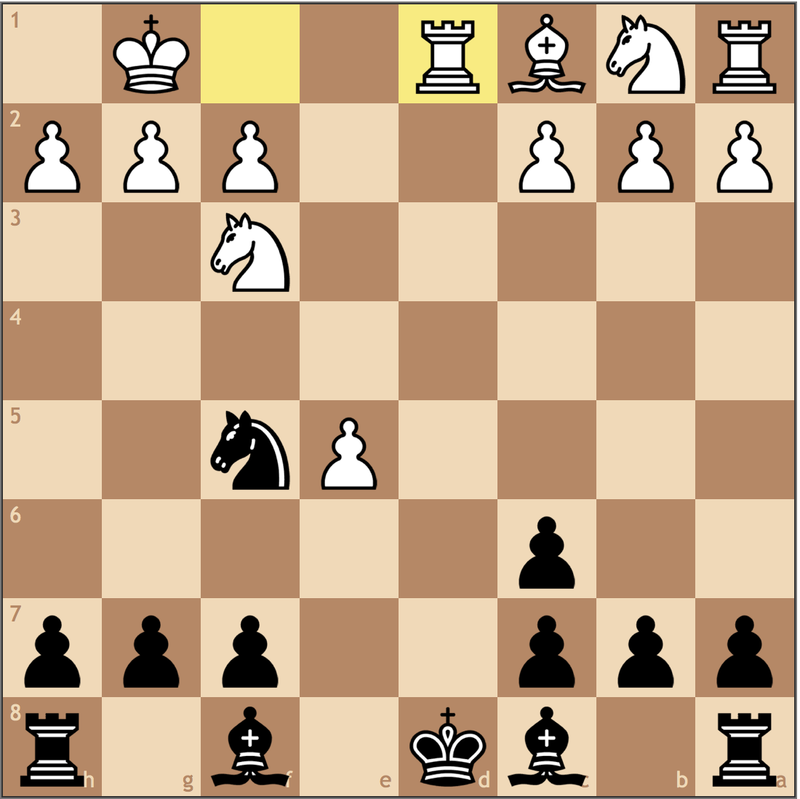 With the rook on the same file as the king, White must find an answer for …f7-f6, ruining White’s hold on the center. 23.Nd5 Rac8 24.Rd2 f6 25.Rf1 fxe5 26.fxe5+ Kg5!! Maxime must have missed this. If Black takes on e5 immediately with the king, it stands in the center of the board, in the crossfire of both of Black’s rooks. Now should White try to protect the e5 pawn with 27. Ke4, he will lose to 27… Rxe5+!! as 28. 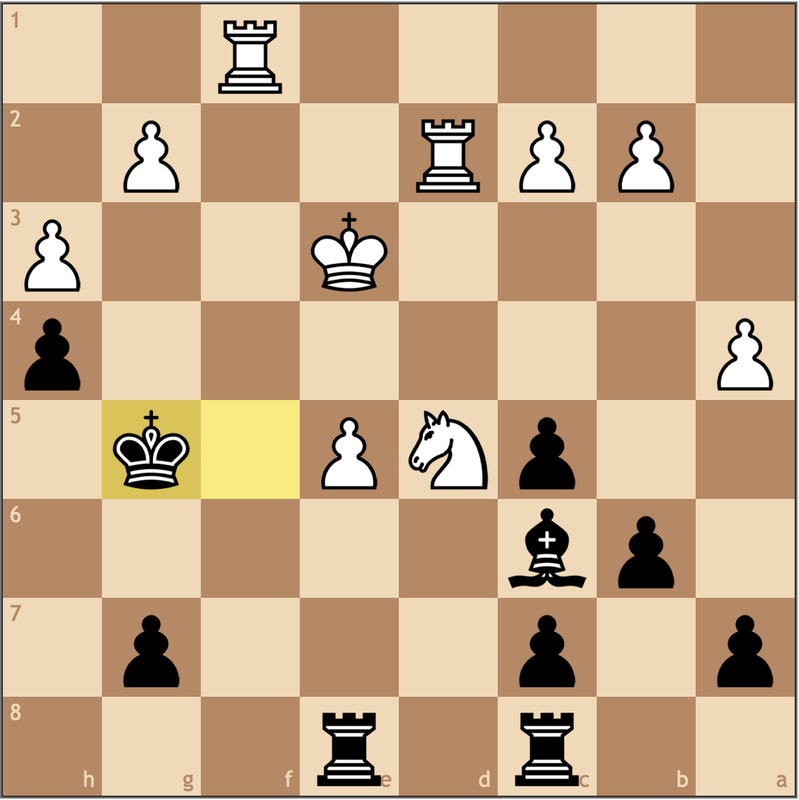 Kxe5 is mate after 28… Re8#. What an idea! With White forced to play passively, the rest of the game is a matter of technique. Giri won the game later on move 43, in what was arguably his best game of the tournament. While the victory may have been sweet, it was short-lived, as Maxime went on to win the next two tiebreak games, sending him to the final against Magnus Carlsen. So what does this game tell us about the Berlin? Let’s take a look at the structure after move 17. If you’re wondering why so many Grandmasters play the Berlin, you should start here. Structurally, Black is more solid and his king, thanks to the early queen trade is already in the center. With all of his early dynamic play, White has yet to define his structure, leaving his e5 pawn seemingly hyper-extended. 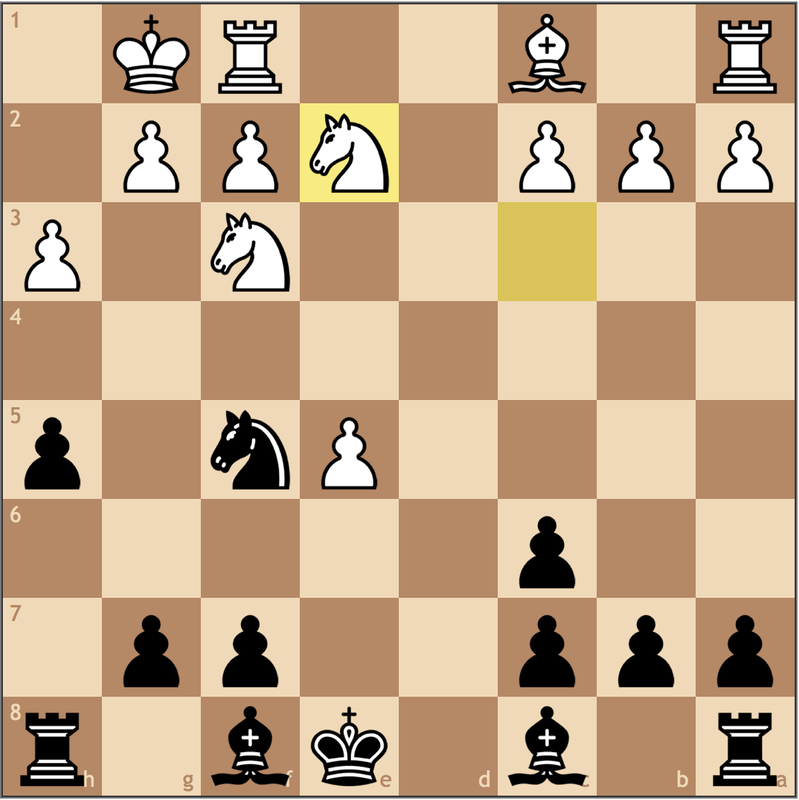 If we think about how Vachier-Lagrave attacked Black’s weaknesses (17. Nb5), the threat of the c7 and a7 pawns only slowed Giri’s play but didn’t cause him long term problems, so already that position is at least equal. Let’s take this position to the next level. Since White decided to give up the bishop pair with 6. Bxc6, we must also take this into consideration. 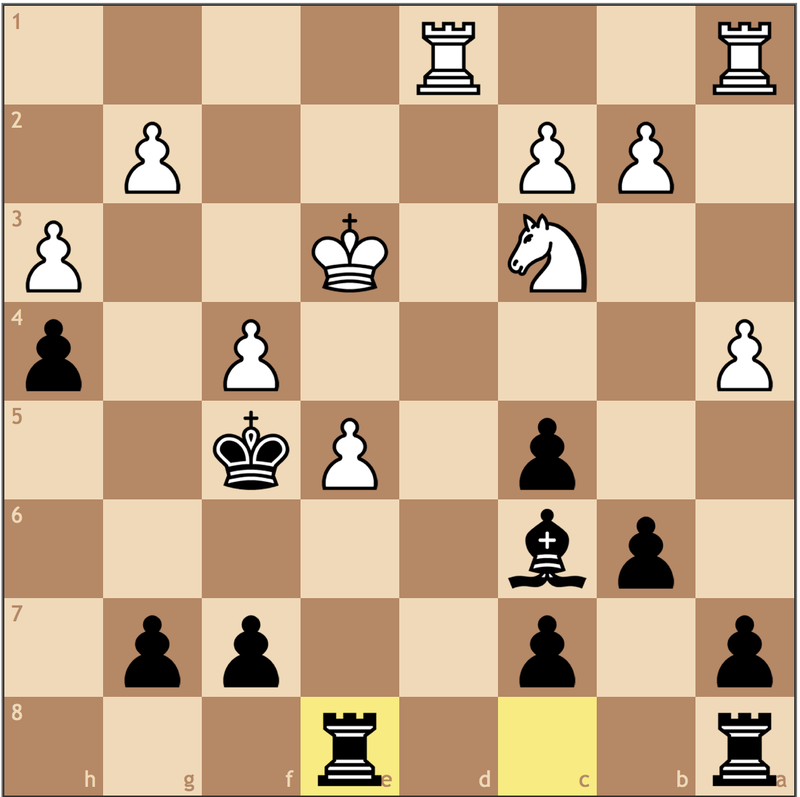 While this minor piece endgame may be arguably tenable, it is clear that again, only Black can play for a win as the bishop dominates white’s knight. 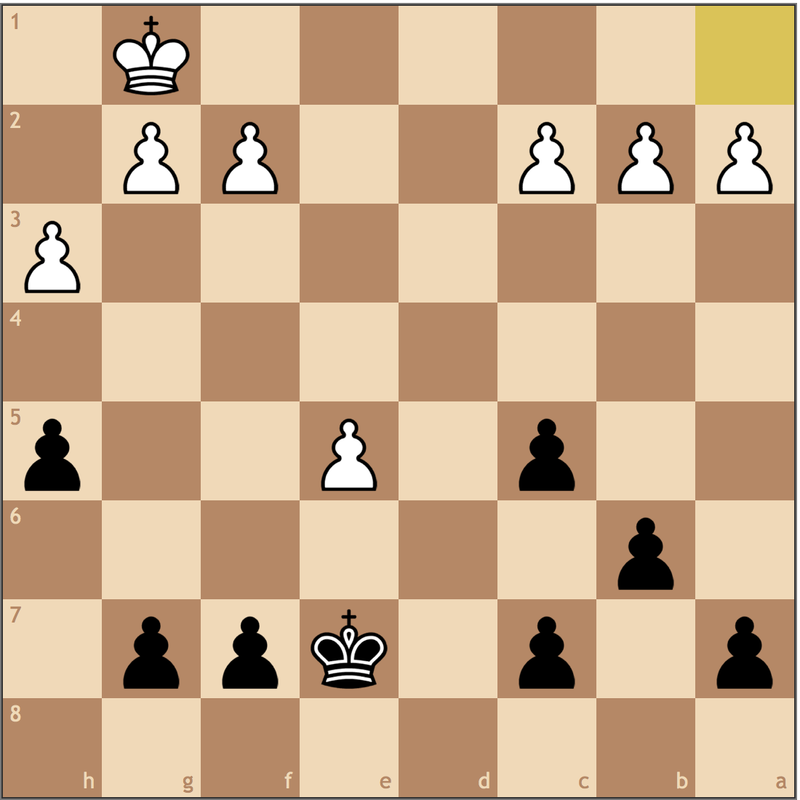 So with this assessment, we can say that Black is better in most Berlin Endgames. Here’s another game where Black proved that solidarity was more important than initiative. 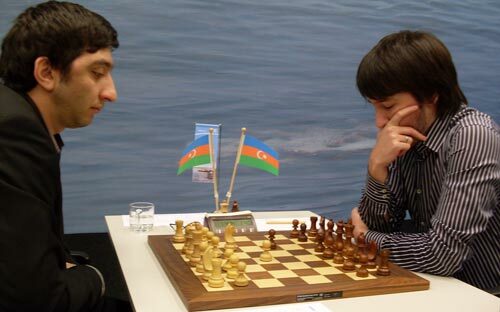 Teimour Radjabov (right), of Azerbaijan, is in the world’s top 30. Known for his opening preparation, let’s see what he had ready for the 2015 World Cup winner, Sergey Karjakin. Our deviation from the Vachier-Lagrave–Giri game. 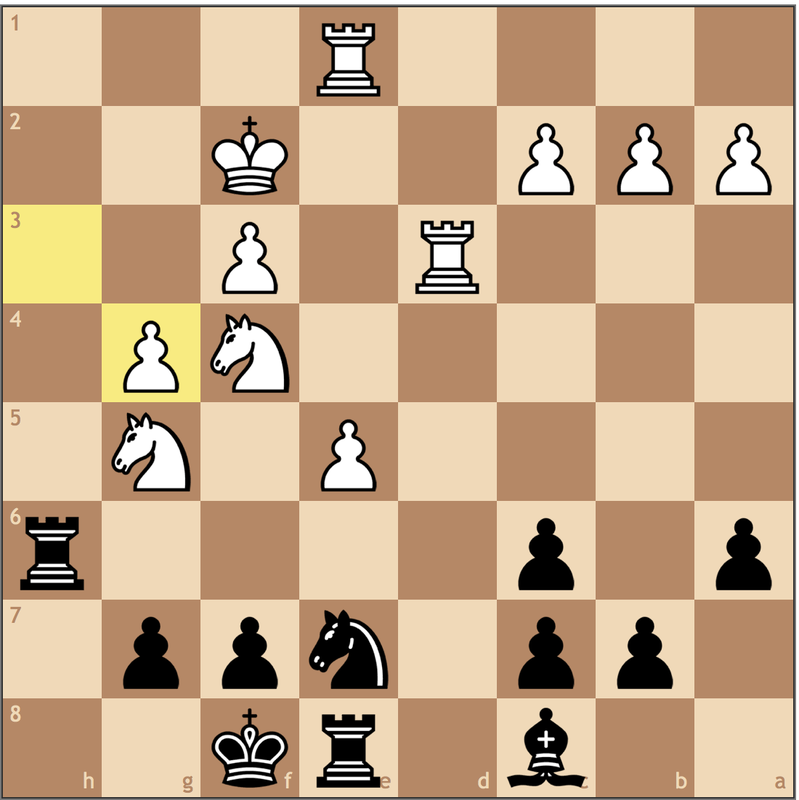 Here Karjakin immediately asserts control of the d-file with a forcing move. 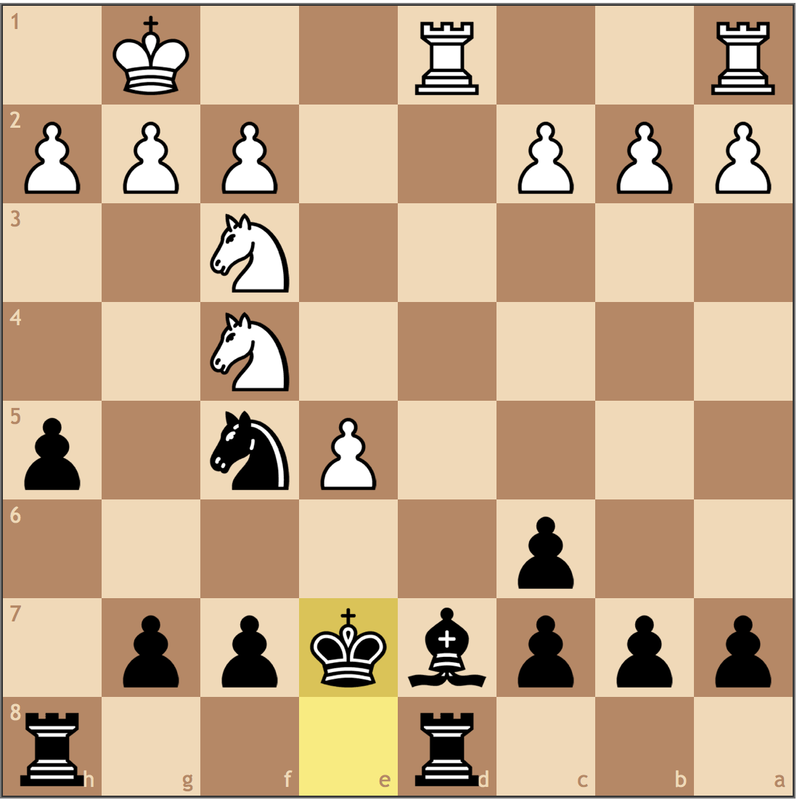 While an easy move to play, it does have the drawback that Black already wants to get his king off the d-file. So while White develops, Black gets to improve his position. 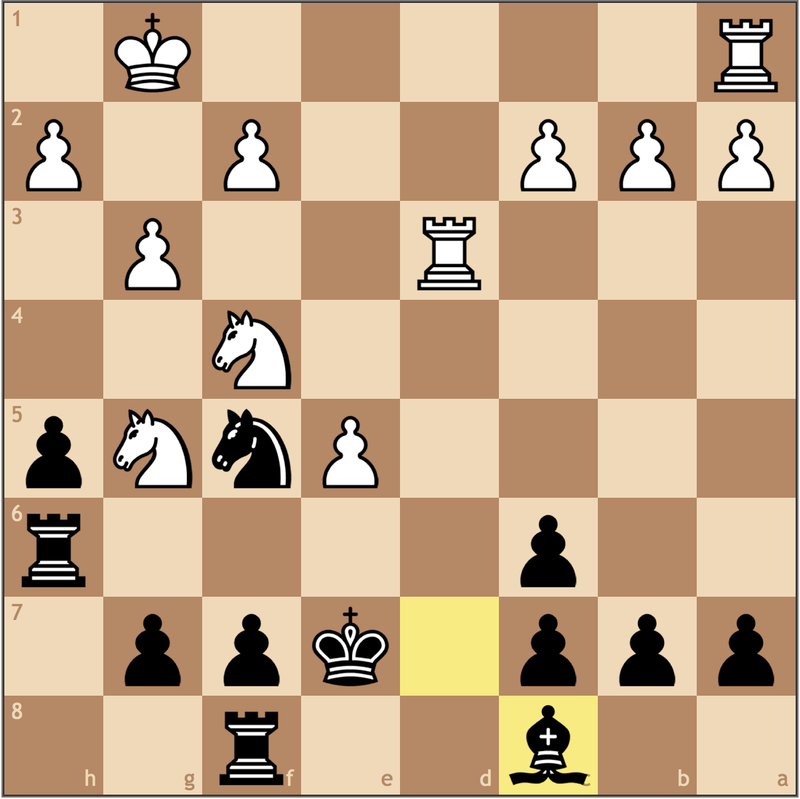 Radjabov’s last move, …h7-h5, set his intentions of playing a long game – just like Giri. Karjakin, knowing that he would not be favored in the endgame, plays with gusto, immediately developing his pieces with threats along the way. But can initiative overpower Radjabov’s solidarity? Radjabov can’t exactly afford to play pedantically. While …b7-b6 followed by fianchettoing the bishop is far more natural, here, its much more important that Teimour gets his rooks into the game. Note that 12… Be6? would be punished by 13. Nf4! as the bishop for knight trade would give away Black’s long-term advantage. Again we see the thematic exchange of dark-squared bishops. By getting his own bishop off the board, Karjakin intends to play Nf3-g5 to keep the initiative. While White’s pieces are seemingly more active, he runs into the issue that he just doesn’t have enough pieces. 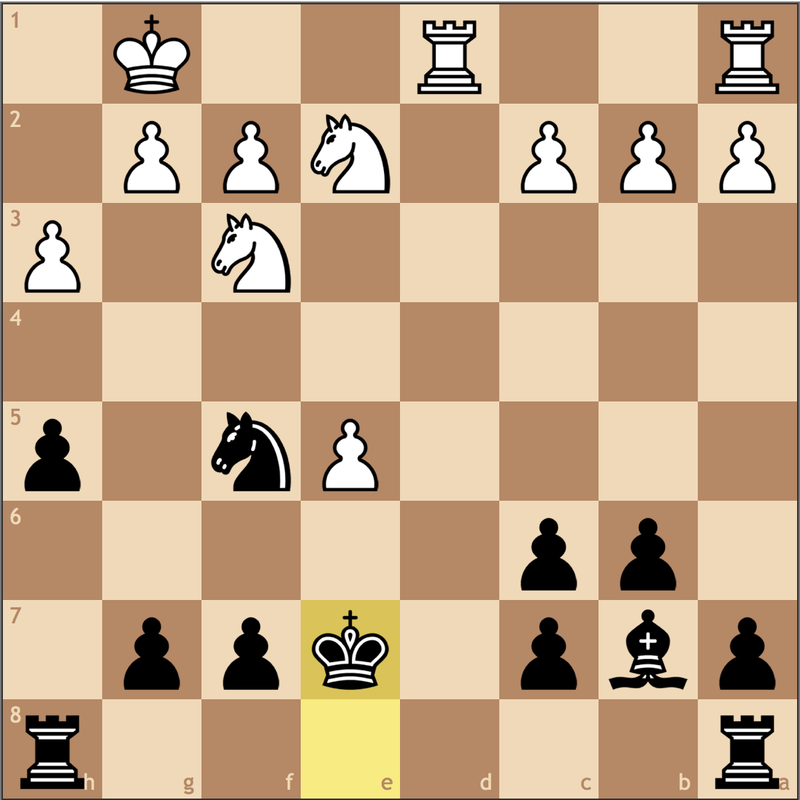 A weird looking move but a necessary one as e5-e6 (a theme that White missed in my video) is no longer possible. Objectively, the position is equal since Black is held down by White’s knights, but its Karjakin”s desire to fall that proves his undoing. 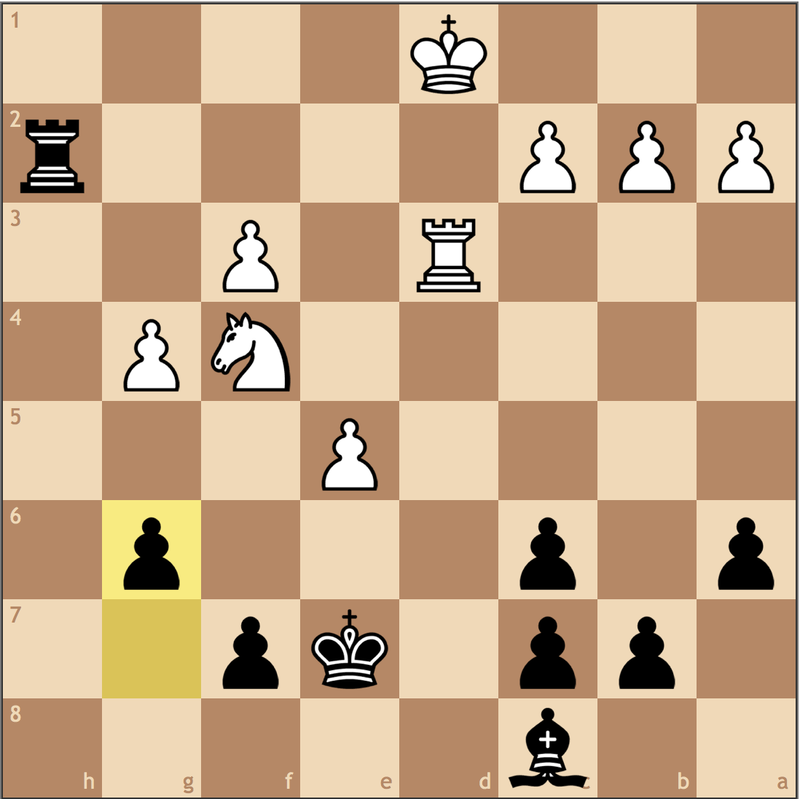 Black doesn’t have much to do here, but Radjabov’s point is that White can’t either. Black’s only weakness is the d-file, but as many of you know, you need two weaknesses to win a game of chess. 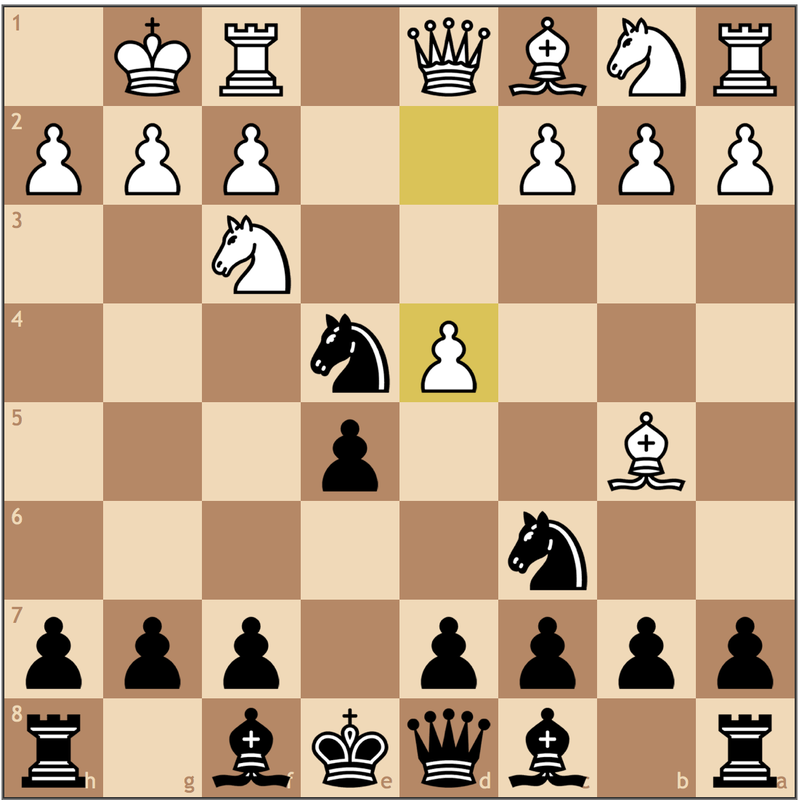 With a safe king, Radjabov can just make improving moves on the queenside. A multi-faceted move. First, it gets out of the way of any g3-g4 pushes. 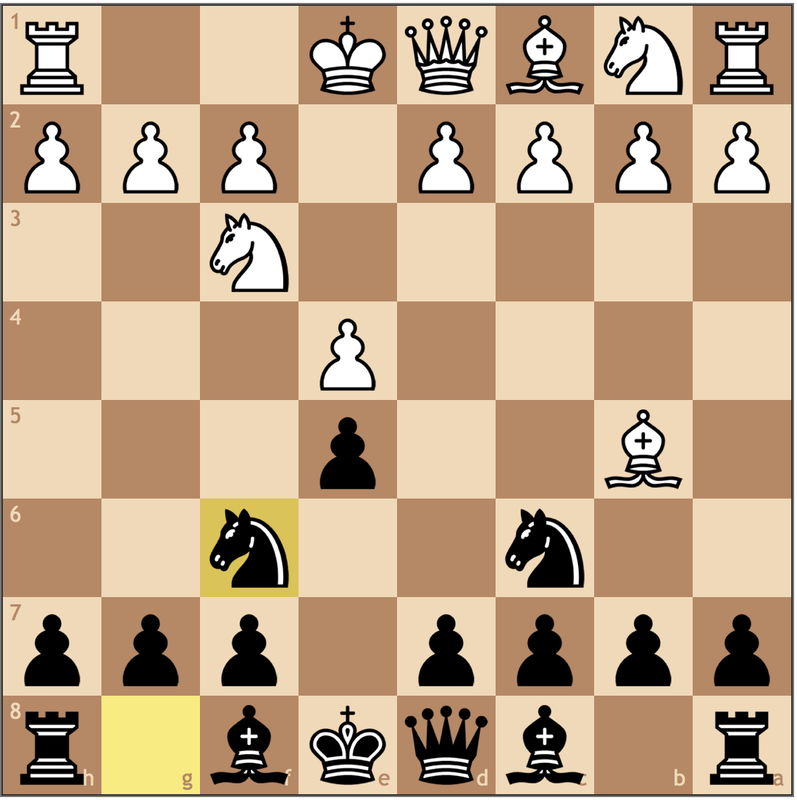 Second, it prepares …Ne7-g6 attacking the e5 pawn and offering a trade of knights to simplify the endgame in Black’s favor. I’m not sure if I agree with White’s g3-g4 push. While seemingly naturally, it makes Black’s h-rook more active and ignores the idea of …Ng6. By simplifying the endgame, the game gets easier for Radjabov, not Karjakin. 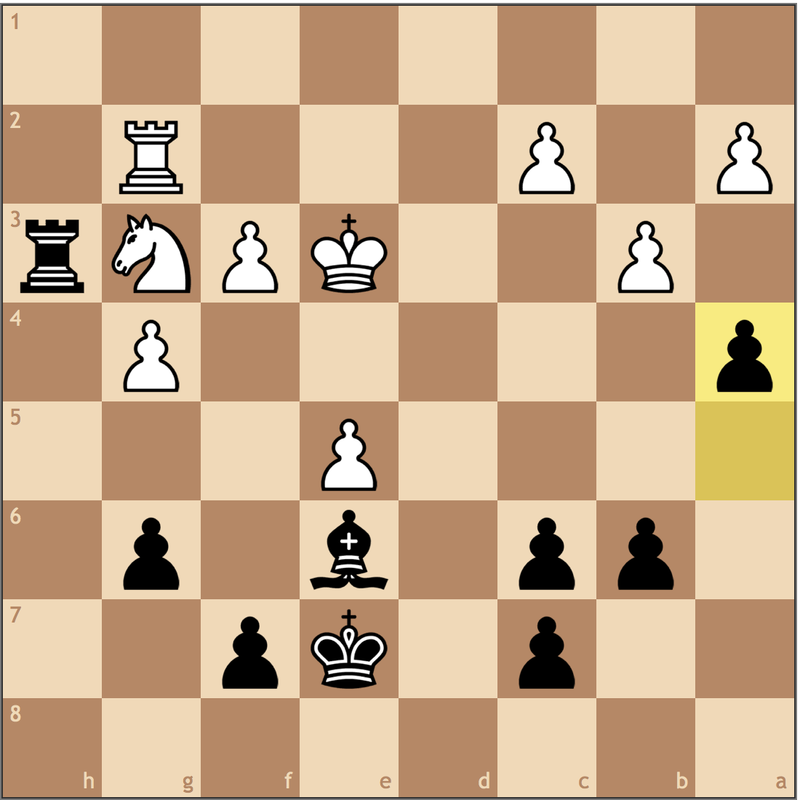 In just a few moves, Black has maximized his advantage after a single trade and claiming the h-file. White may already have to play for equality. Only on the better side of equal, Black defines his structure while White wonders how to fix his overall passivity. Maintaining flexibility. 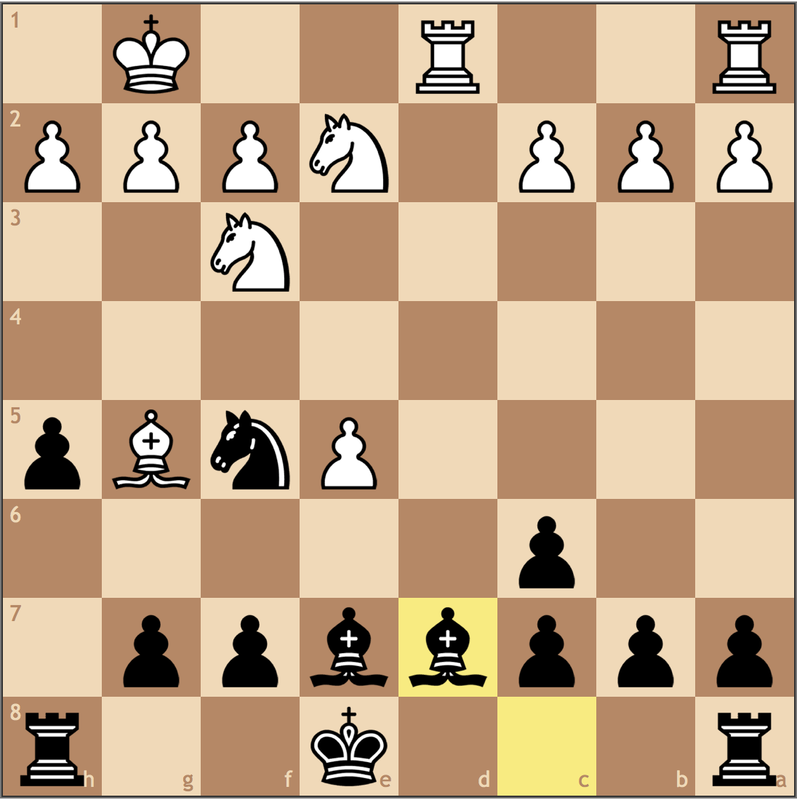 Black can move the bishop to a6 for play and has a solid structure to back it. 36.Ne2 Bd7 37.Ng3 Rh3 38.Rg2 Be6 39.b3 a4! A nice idea, aiming to weaken White’s queenside pawn structure. 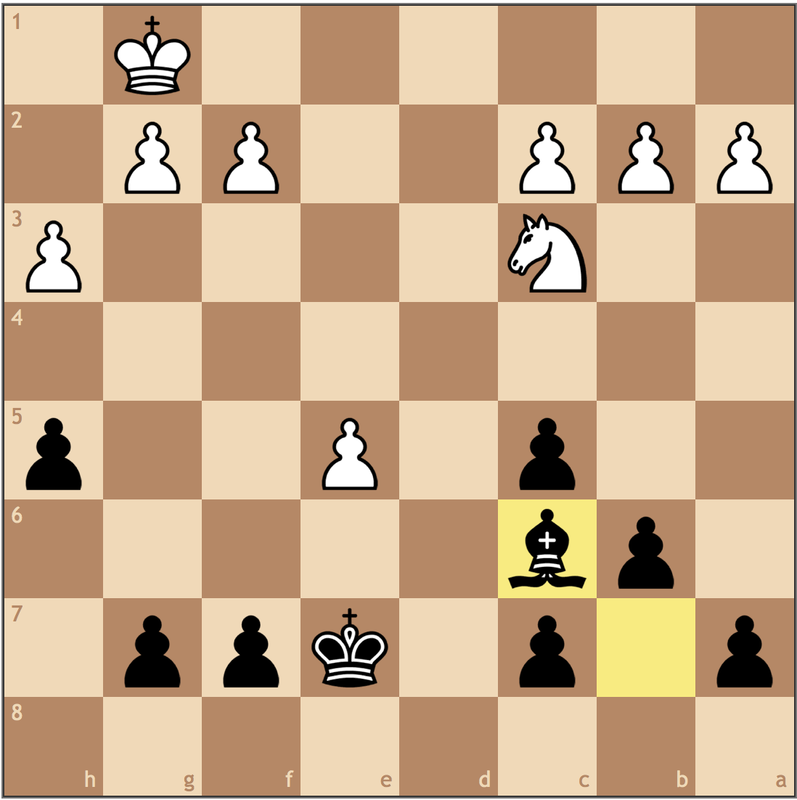 If Radjabov can trade the last pair of rooks, he’ll reach a bishop v knight endgame where only he can stand better. Now with a material advantage, Radjabov has a win to play for in the classical Berlin Endgame. 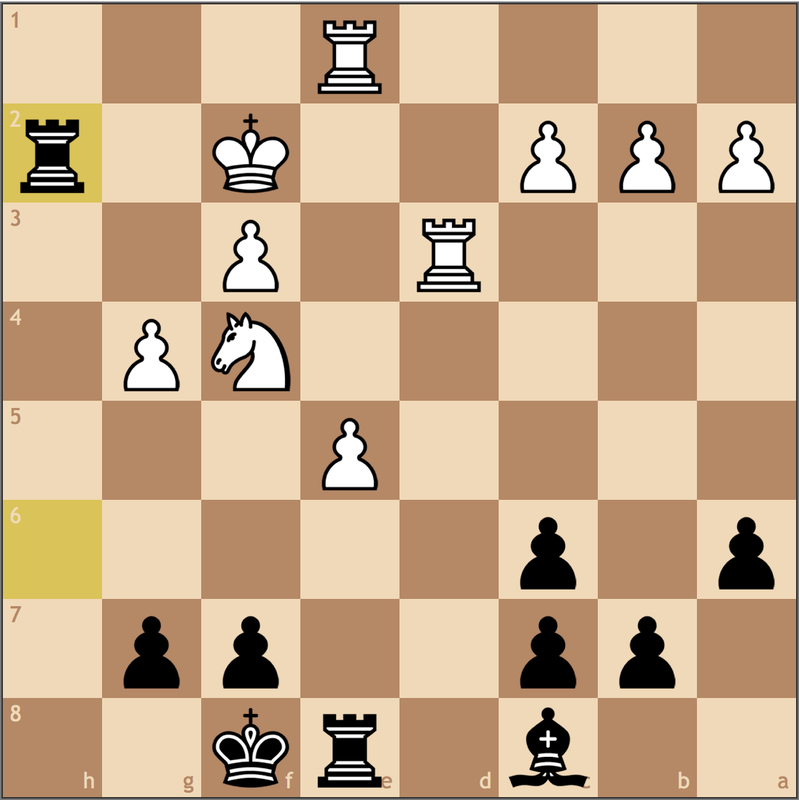 Black went on to win 23 moves later. So what do these games tell us about playing the Berlin as Black? The Berlin won’t win games quickly. 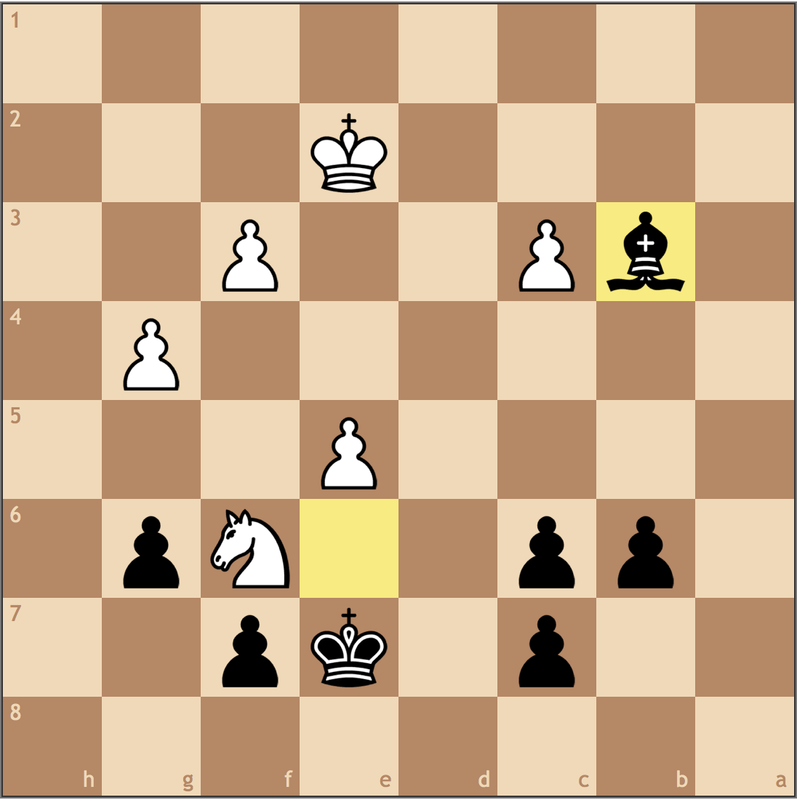 As evidenced by both games, endgame technique and defence are two critical skills needed to play the Berlin effectively. 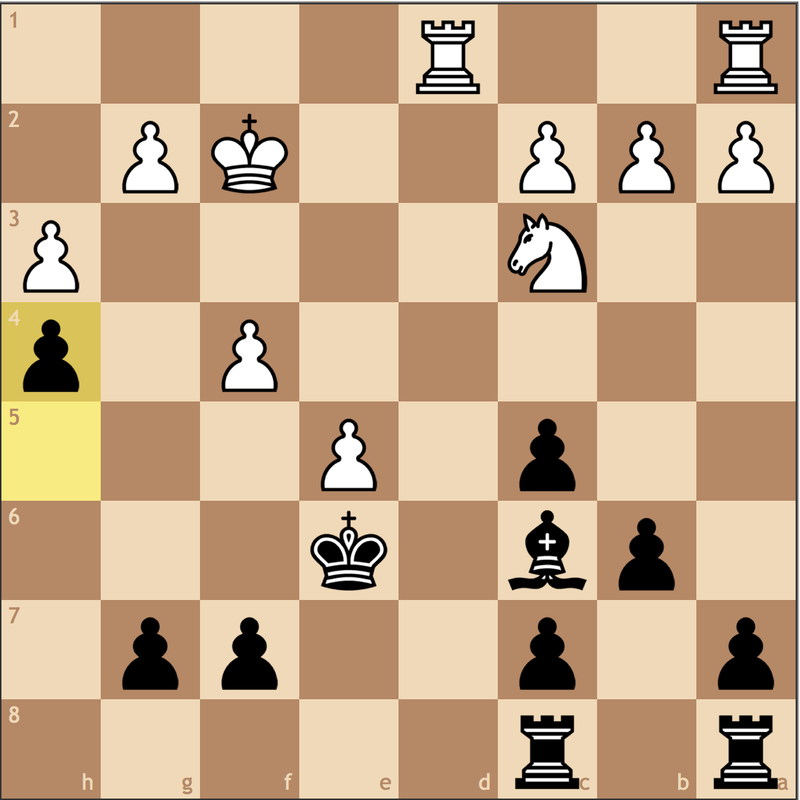 Black didn’t get an advantage until White erred playing for an edge. Patience in the key. Remember, the main reason why the Berlin is popular for Black is because the computer gives it a favorable evaluation with the computer. Once the queens come off the board, the game is about strategic gains for either side as White tries to compensate for losing the bishop pair. A Berlin Endgame is a good endgame. The biggest positive from today’s article. If White can’t effectively prove his compensation, he will be tortured in an uphill positional battle.